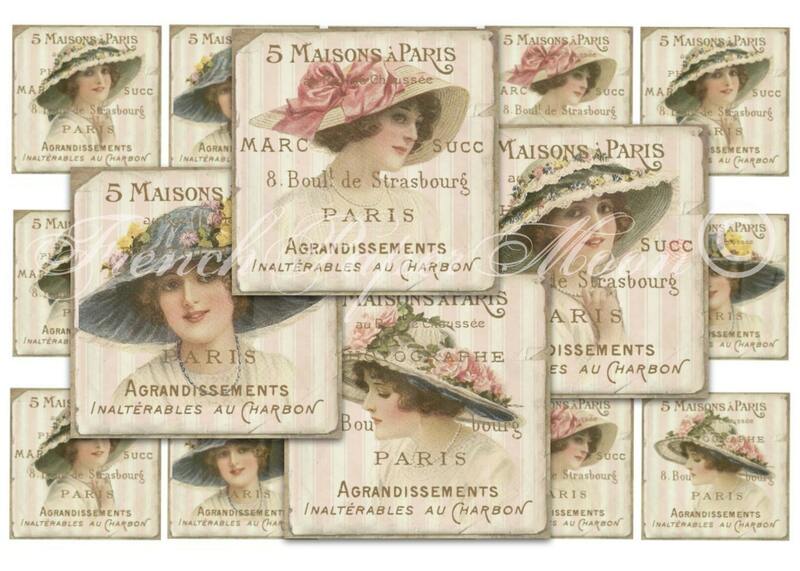 Adorable French ephemera 2x2" square collage sheet with vintage hat ladies. You will receive 1, 8.5x11" JPEG image with a total of 15 images and 4 different designs. 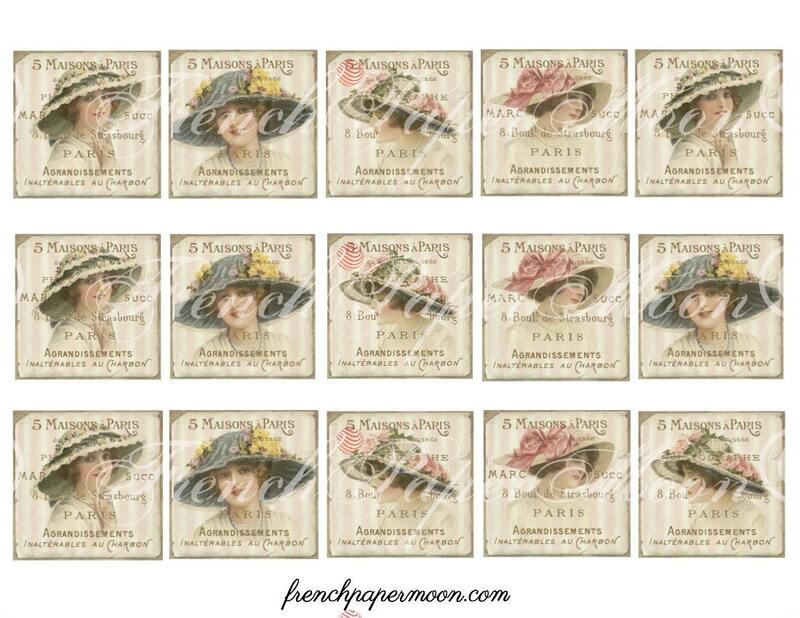 Instant Download Digital Collage Sheet.